Mamidikaya means raw mango and annam means rice, together mamidikaya annam is one of my favorite rice recipe, its tangy and sour to taste and goes well with any pachadi, fritters or pickle. We make it when the raw mangoes are in season in India, during Ugadi (festival) in the month of March - April. Here in US I noticed that raw mangoes are little bit sweeter to taste. 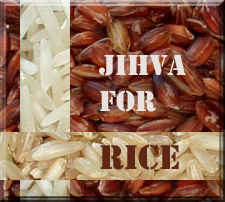 I am making this classic rice entry and today sending this to Sharmi of Neivedyam for JFI-Rice (Jhiva for Ingredients) started by Indira of Mahanandi. 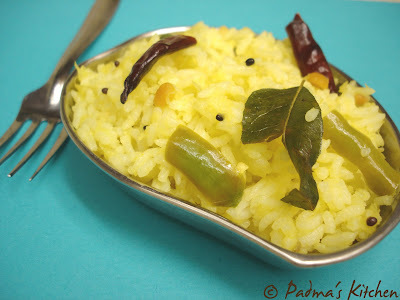 This recipe is also known as Mango rice, Mamidikaya Pulihora. 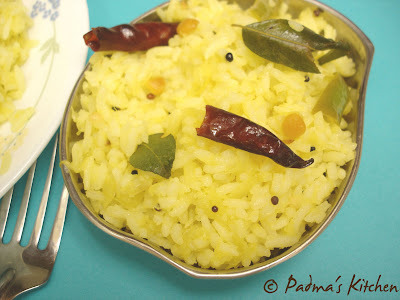 Mango rice is specially cooked on Ugadi in some parts of Andhra and definitely needs generous amount of oil for tempering. Here are few more recipes for this recipes from fellow bloggers Sailu, Shireesha, Shakahari Saapadu, Indira, Bee, Shanthi, Sharmi. Cook rice with ½ tsp turmeric powder/haldi, let it stand for 10 mins and transfer to a large mixing bowl. Heat oil in a pan on medium heat. Add the dals, mustard seeds and let it splatter for a minute. Then add the torn red chillies, curry leaves, peanuts, chopped ginger, green chillies and fry them for 1-2 mins. To this add the turmeric powder, hing and salt. 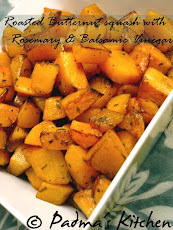 Mix well and lastly add the grated raw mango. Stir well and leave it on medium high for about 2 mins or till the mango threads are cooked. Mix this with rice and Mango rice is ready within minutes. Wish I cud have some now!! Never had this before, Padma.Love the color & the pic. Hey Tee try this mango rice and tell me how that came out! Rajitha, I guess you got my mail on this ...If the mango is sweeter then I add lime juice to make-up the sourness to the rice. Manasi, you can have it (virtually)! 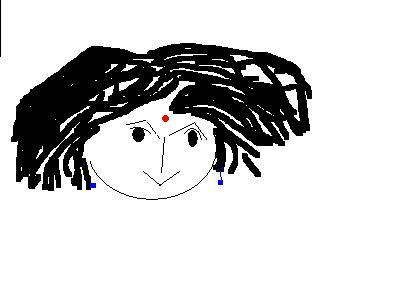 Padma, first time me blog ki, chala bagunayi recipes anni. I love mango rice unfortunately I cannot find sour mangoes.dish looks mouth watering. Tasty rice padma! sour ones taste beat for this rice! waiting for your new post! Naga, check this out, I paid attn to what you said ;) I posted a new post now where are ur comments...kidding! padma,mamidikaya pulihora chala bavundhi ,looks pleasant.